Antennas Direct is our go-to vendor for all things off-the-air (OTA) for HDTV. They have antennas for every reception need. We have tried out their indoor units (Micron, Eclipse) and they are superior to others in the category. 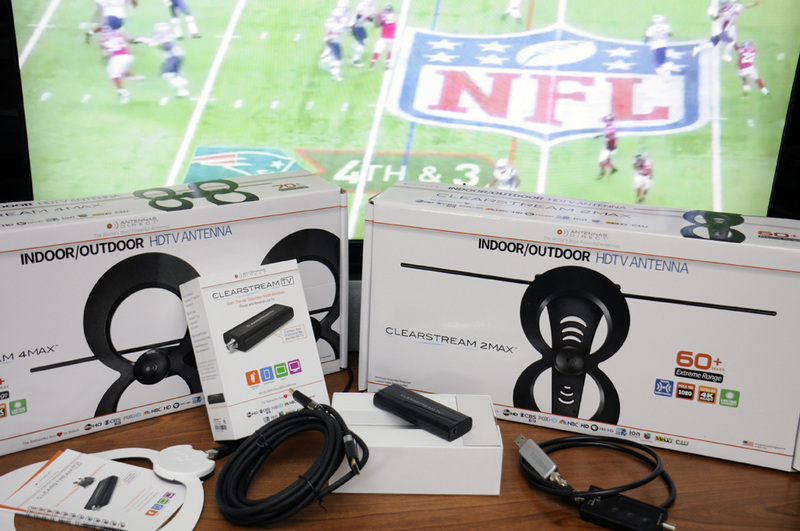 For the 2017 NFL season, we have three new items from Antennas Direct which will let everyone, regardless of how far out in the boonies they are, to see the Patriots as if they were at Gillette Stadium. What is better than cutting the cable cord? Being able to watch OTA broadcasts on any device (TV, computer, tablet, smartphone) you have at home. How can you do that? With Antennas Direct’s Clearstream TV adapter. In 2015 we added 9 TB of storage with the Addonics external disc system and now have three full seasons of Patriot football available to us to replay and review at will. All of the games were recorded off-the-air using the Elgato EyeTV Hybrid. However, Elgato no longer offers television tuner devices in North America. This is a bummer as it is an excellent device for recording live TV. 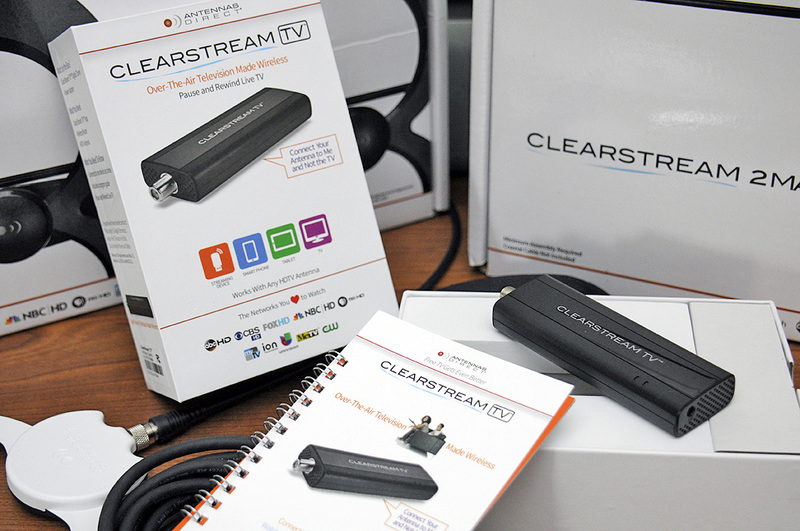 The good news is the Clearstream TV may be a replacement for the Elgato device! We’ll have a full writeup on it as soon as we have it up and running. 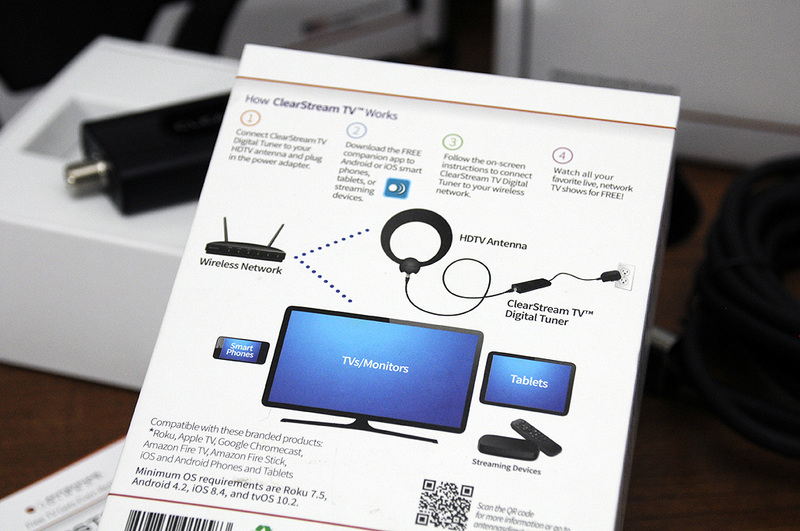 What’s in the Clearstream TV box? ClearStream TV connects through a wireless network to combine live, local broadcast TV with any mobile device, anywhere in the home. Pause, rewind, and watch all network shows using the free ClearStream TV companion app and an HDTV antenna with no subscription or monthly fees. How awesome is that??? Why is this awesome? The advanced performance of ClearStream TV lets us put our HDTV antenna in the best location to receive over-the-air TV reception. 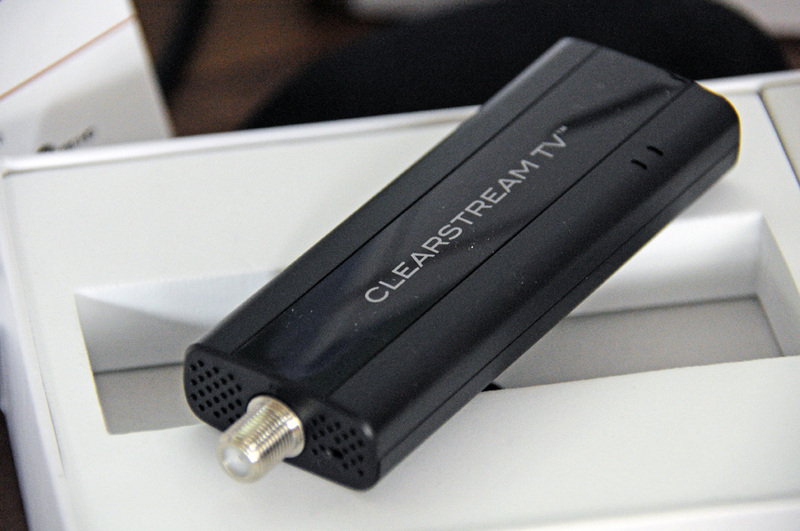 Unlike the Elgato adapter, we do not have to connect the antenna to the TV, only to the ClearStream TV device. The free ClearStream TV companion app will then let us watch what we want on our mobile device, or use any streaming device to watch on the TV. Both the 4Max and 2Max antennas are great units to pair with the Clearstream TV tuner. Attach the appropriate unit to the Clearstream TV, put it where it can bring in the best reception, and enjoy! There is no longer a need to run a cable from the antenna to the TV, because the signal is relayed to the viewing device using the home’s WiFi setup… genius! Comes with a 20″ J-mount mast, heavy-duty mounting hardware, and sealing pads. Tough enough for use outside, good looking enough for use inside!! !